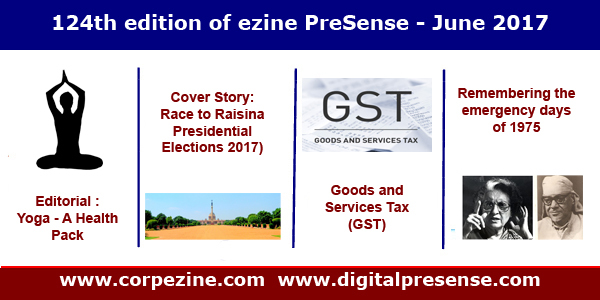 We are pleased to release the 124th (June 2017) edition of your ezine PreSense broadly with the following contents. 1. Editorial : Susan Koshy writes on "Yoga - A Health Pack"
3. Nation: T N Ashok writes on ""Goods and Services Tax" (GST), which is being implemented from 1st July 2017. 4. Technology : Dr R Jagannathan writes on the success story of PSLV - C38. 5. Special Article : K. Srinivasan writes on the darker days of Indian democracy during Emergency imposed in June 1975. 7. Box item : WhatsApp menance - How Forward Mania syndrome of WhatsApp users cause inconvenience to others. Editorial Team is also happy to announce that 125th edition of your ezine will be released on 27th July 2017 at Chennai, coiciding with the second death anniversary of Dr Abdul Kalam. As readers know, Digital Journalists' Association of India (DiJAI) is one of the initiatives of ezine PreSense. We plan to launch DiJAI Students' Forum in three select colleges on 27th July 2017, followed with a workshop on 'Digital Journalism'. We request you to kindly share this ezine with your contacts. Please share your feedback to editor@corpezine.com. 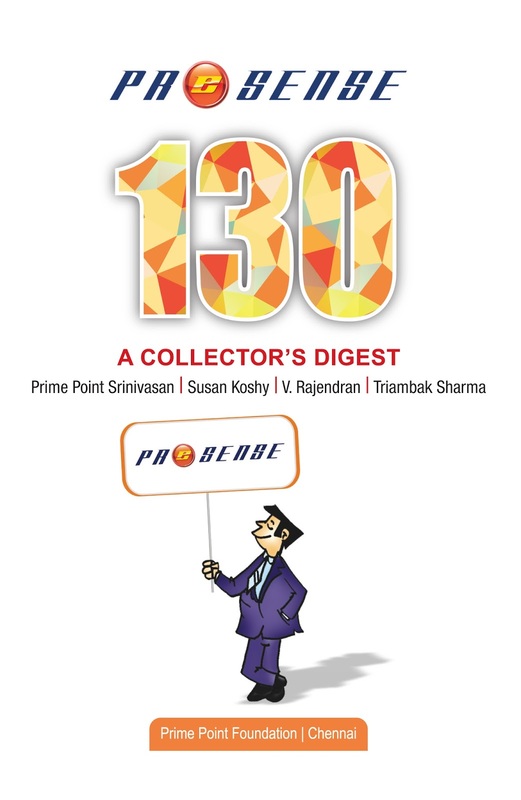 On behalf of Editorial Team, we are pleased to release the 123rd (May 2017) edition of PreSense. Editorial : K. Srinivasan writes on the need for the civil society to recognise and encourage the performing Parliamentarians and Legislators. 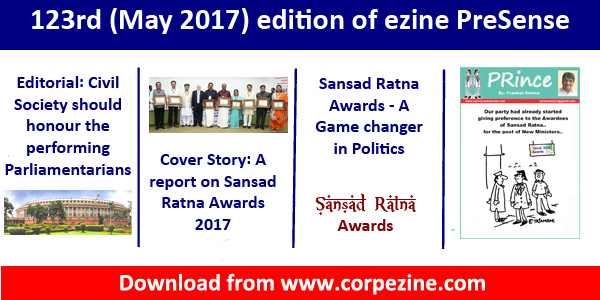 Cover Story : Susan Koshy writes a brief report on the Sansad Ratna 2017 event. It was a day long event with the participation of eminent political leaders and experts. Special Article : T N Ashok writes on how this Sansad Ratna Awards has become a Game Changer in Politics. We have also shared the links of Photographs and the videos in this edition. Readers can listen to the excellent proceedings, as and when they find time. We are confident that you will enjoy this edition too. You may kindly share this with your contacts who are interested. Please send us your feedback to editor@corpezine.com. This edition may also be downloaded from this link.